Check out whats new in Horizon Zero Dawn 1.45 Update. Horizon Zero dawn Update 1.45 added several balancing tweaks to outfits and weapons. Horizon Zero dawn patch 1.45 brings many other general improvements. Fixed an issue where players were not able to create a New Game+ loadout after completing the game. Fixed an issue where the Insulated Outfit Weave would not be present at its set location. Horizon Zero dawn 1.45 addressed an issue where Skill Points would still be visible when the player had all skills unlocked. Fixed an issue at the Charger site near Song’s Edge, where there was a chance that Chargers would not spawn at the site when visiting the area. Fixed an issue at the Scorcher site, where there was a chance that only Scrappers would spawn at the site when visiting the area. Horizon Zero dawn 1.45 fixed an issue where fast traveling to the Longnotch icon would put Aloy on top of a tent. Fixed an issue where the campfires in The Frozen Wilds would not stay lit after being activated and reloading. Fixed an issue in the loadings screens, where hints for The Frozen Wilds would be displayed even without the DLC installed. Horizon Zero dawn version 1.45 addressed an issue with the Banuk Icerail tutorial where the tutorial would not progress when a player used the Adept version the Banuk Icerail. Fixed an issue where players were able to carry over Bluegleam to a New Game+ save, after creating a New Game+ loadout when they had Treasure Boxes with Bluegleam in their inventory. Fixed an issue in the Machine Catalogue in Aloy’s Notebook where the ‘Sources’ lists for loot would not be updated with the new machines from The Frozen Wilds. Horizon Zero dawn 1.45 added a counter for ‘Dismount Strikes’ in the Combat Statistics in Aloy’s Notebook. Fixed an issue where Ikrie’s Challenge would count towards the percentage of game completion of the base game. Fixed an issue that some players experienced where their Ghost Level experience value was displayed as a negative number after reaching level 60. Various visual improvements in The Frozen Wilds. Horizon Zero dawn update 1.45 added various improvements to geometry in The Frozen Wilds. Fixed various issues in cinematics in The Frozen Wilds. Fixed an issue that players experienced where Aloy would talk about Bluegleam too often. These callouts have been reduced and will not occur when Aloy is inside any buildings. Fixed various issues with other callouts in The Frozen Wilds. Horizon Zero dawn version 1.45 updates to the credits of The Frozen Wilds. Fixed various issues with in-game text, subtitles and localization. Fixed an issue in “The Shaman’s Path” where the Frostclaw would not get stunned after overriding the Control Tower. Horizon Zero dawn patch 1.45 addressed an issue in “The Shaman’s Path” where sections of Ourea’s Retreat had extended periods without background music. Fixed an issue in “The Shaman’s Path” where the waypoint finder would lead the player a long way around when falling dawn the jump under the helipad. Fixed an issue in “For The Werak” where in certain the of one of the damaged Frostclaws would swap. 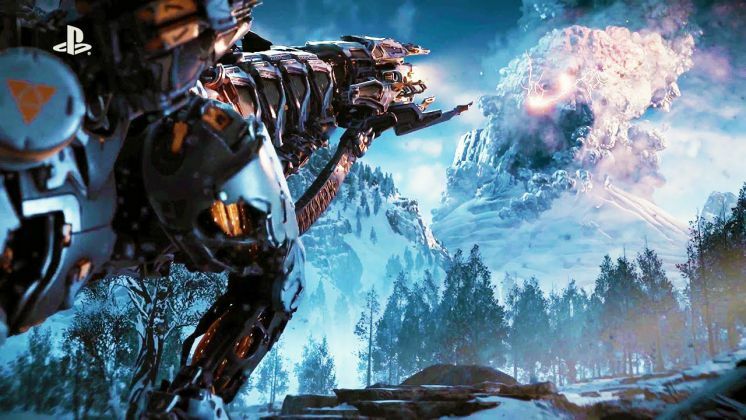 Horizon Zero dawn 1.45 addressed an issue in “Firebreak” that some players experienced where the Frostclaw would jump through the door when taking Aratak’s Path. Fixed an issue in “Firebreak” where the datapoint icons would not show up on the compass until the player used their Focus at least once. Fixed an issue in “The Forge of Winter” where Aloy will be blasted off the floating crates if her idle hanging animation plays when passing over the broken vent. Horizon Zero dawn patch 1.45 addressed an issue in “The Forge of Winter” where Aratak and Ourea would not follow you past the bridge of the Recycling Area after the player backtracked within the Cauldron. Fixed an issue in “The Forge of Winter” where Aratak and Ourea would remain stationary after the second Control Tower is destroyed when battling the daemonic Fireclaw. Fixed an issue in “The Forge of Winter” with the animations of the Fireclaw while fighting it near the Cauldron Core. Horizon Zero dawn version 1.45 addressed an issue in “The Forge of Winter” in Ourea’s Retreat, where two icons of CYAN could be seen on the user’s compass. Fixed various issues in “Waterlogged” with the water in the Greycatch. Fixed an issue in “Waterlogged” where Aloy would pry open the door with Sylens’ spear, even when the player doesn’t have this spear yet. Horizon Zero dawn update 1.45 addressed an issue in “Waterlogged” with Gildun’s positioning to close the first sluice gate. Fixed an issue in “Ikrie’s Challenge” where the rolling logs would not respawn when attempting the trial again. Fixed an issue in “Weapons for the Lodge” where players would experience the quest log not being updated correctly after clearing one of the trials in the Snowchants Hunting Ground in The Frozen Wilds. Horizon Zero dawn patch 1.45 addressed an issue where Animal Figurine icons were missing from the interior maps in The Frozen Wilds. Fixed an issue where a Bluegleam icon was missing from the exterior map for Bluegleam in the Drone Hangar. Fixed an issue where players reported that they would not be able to buy every outfit in the game, as there were not enough slots. You can now get all outfits with a fully upgraded Outfits Satchel and the ‘Hoarder’ skill unlocked. Horizon Zero dawn update 1.45 addressed a cosmetic issue in the Banuk Werak Chieftain outfit. Fixed a UI issue where the ‘Master’ Adept versions of outfits would have the same name as the ‘Heavy’ Adept versions in New Game +. 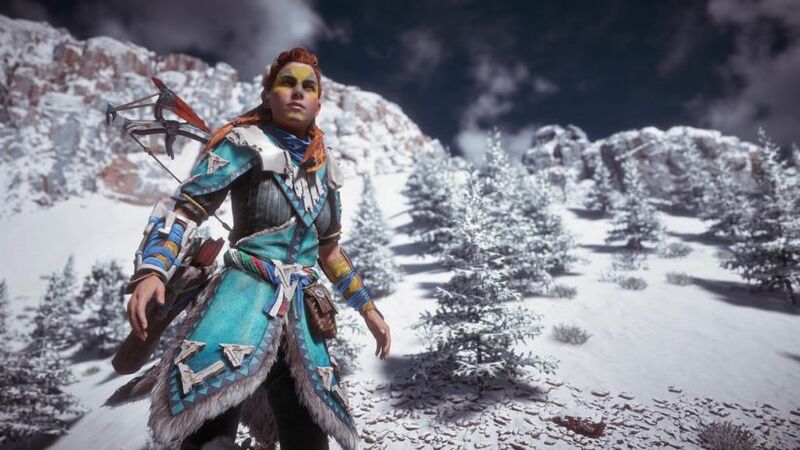 An issue where the Banuk Ice Hunter Heavy would provide more protection than the Adept version of this outfit, while they both have the same resistance stats is now fixed with Horizon Zero dawn 1.45. Horizon Zero dawn version 1.45 addressed an issue with the Shield-Weaver outfit, which would not work correctly if Aloy was damaged by two damage types or explosions. Fixed an issue where the shard value for spear mods would be inconsistent. Horizon Zero dawn version 1.45 fixed various damage issues on edge-case scenarios for the Fireclaw and Frostclaw, which could lead to more than the intended damage. Fixed an issue with the “First Bluegleam Trade” trophy. This would not unlock if a players bought an Adept version of one of the new outfits from The Frozen Wilds. Horizon Zero dawn patch 1.45 addressed several issues that some people experienced with geometry in The Frozen Wilds. Players could leave the intended play area and get stuck, blocking progression. Fixed an issue in “Firebreak” that some players experienced, where Aloy could get pushed through the Cauldron door when fighting the Daemonic Scorcher. An issue in “Firebreak” that some players experienced, where killing the Daemonic Scorcher near the Cauldron door could cause the option to open the door to be hidden by the option to search the Scorcher is now fixed with Horizon Zero dawn 1.45.. 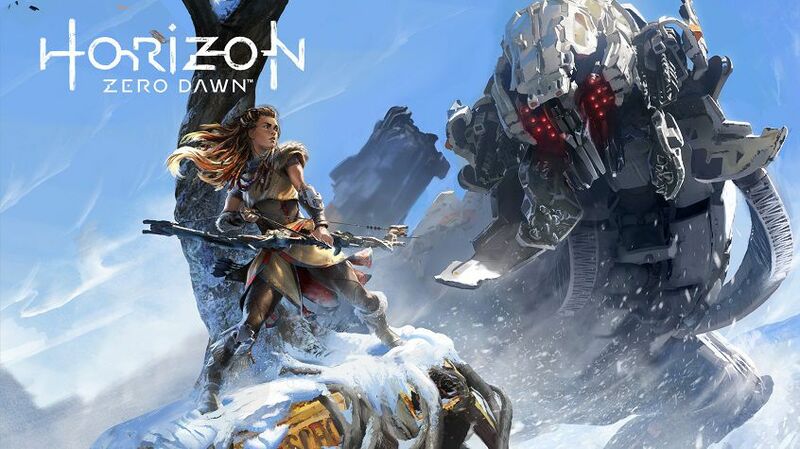 Horizon Zero dawn version 1.45 addressed an issue in “The Forge of Winter” that some players experienced, where killing the Daemonic Fireclaw near the Cauldron Core could cause the option to override the Cauldron Core to be hidden by the option to search the Fireclaw. Horizon Zero dawn version 1.45 fixed an issue in “Waterlogged” that some players experienced, where in certain situations Aloy could not pull up on the ladder after solving the Flow Puzzle. An issue in “Waterlogged” that some players experienced, where some ladders could lose their functionality, blocking progression is now fixed with Horizon Zero dawn patch 1.45. Horizon Zero dawn update 1.45 addressed an issue in “Waterlogged” that some players experienced, where fast-traveling out of the Greycatch from the top of the counterweight would block progression of this quest. Fixed an issue in “Waterlogged” that some players experienced, where Gildun would disappear after completing the optional puzzle and walking through the unlocked doorway. An issue in “Frontier Justice” that some players experienced, where if the player fast traveled away after completing the first ‘Follow the tracks’ objective and before completing the second objective, there would be no quest marker is now fixed with Horizon Zero dawn 1.45. Horizon Zero dawn 1.45 addressed an issue in “Ikrie’s Challenge” that some players experienced. If the player died on the second attempt after having received Gold the first time, the objective would be missing from the quest objective log. An issue in “The Claws Beneath” where the game would not auto save when killing the Claws Beneath before accepting the quest through Umnak is now fixed with Horizon Zero dawn patch 1.45. Horizon Zero dawn patch 1.45 addressed an issue in the Stone Yield Bandit Camp that some players experienced, where the Bandit Camp leader would already be dead without the player killing it, blocking progression. Fixed an issue with datapoints ‘Induced Coma’ and ‘The Swarm’. These datapoints could not be collected after completing “The Forge of Winter”. Horizon Zero Dawn update 1.45 added various performance issues. Check out your game update and download Horizon Zero Dawn 1.45 update on your PlayStation 4.